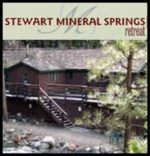 Only Lodging in Downtown Mt. 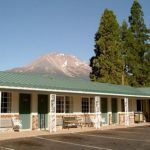 Shasta, walk to shopping, dining, entertainment. All rooms and family suites newly renovated. We feature Spring Air Matressess , 25″ TV’s, HBO, and High Sped internet. Cont. Breakfast, in room coffee, tea, and don’t forget pets are welcome! Located conveniently off the I-5 corridor in South Weed. The Hotel is close to restaurants and souvenir shops. Motel 6 : 80 Clean comfortable rooms for lowest price of any National chain. Mobile Home Park just a minute from Downtown Weed with moblie home spaces and rental cottages. We are a overnight RV Park and campground with 20 full hookup sites. We have 12 pull-through sites and all have TV hookups and free WiFi. Our season opens Feb 16th Sunday-Saturday 8-8 p.m.